Diets are tough and trying a new workout can feel intimidating. Sometimes joining a weight-loss community or challenge can provide the support you need to accomplish your goals. 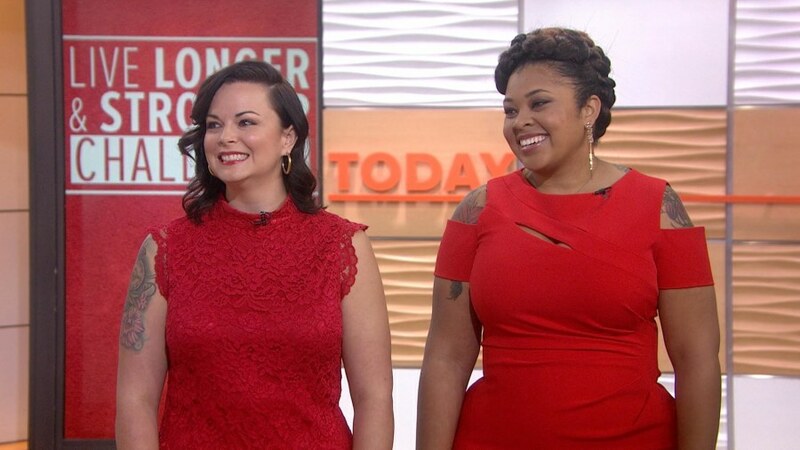 It worked for Traci Claycomb, 39, and Brittney Campbell, 32, who lost 95 pounds combined during Woman’s Day Live Longer & Stronger Challenge — and feel better than ever! Both women saw an ad for the annual challenge in the magazine — and were excited to be chosen. It kicked off eight months ago, and they started an eating and exercise plan designed by Joy Bauer and the Mayo Clinic to help participants lose weight and improve their heart health. 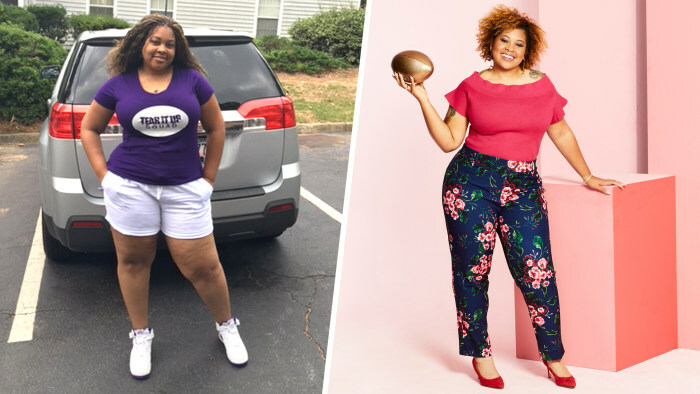 Traci lost 55 pounds in eight months. For Traci Claycomb, it was just the motivation she needed. She tried fad diets, but kept gaining weight. Nothing worked, so she coped by ignoring that her weight — 220 pounds at 5 feet 6 inches tall — was a problem. Then the crippling headaches and heart palpitations began. A visit to the doctor revealed her blood pressure was dangerously high and she needed to lower it. “I was so terrified. I actually cried all the way home,” Claycomb told TODAY. The then 38-year-old felt especially afraid because her father has had seven heart attacks — experiencing his first when he was only 40. Claycomb knew it was time to improve her health and the challenge came just in time. Plus, it actually worked and was easy to follow. “It’s very low-sodium, very low in sugars unless they are naturally occurring, lean protein and lots of vegetables,” Claycomb said. Since starting the program at the end of June, Claycomb has lost 55 pounds and now weighs 165 pounds. She also transformed her cardiovascular health. Her blood pressure and cholesterol are at healthy levels without medications. 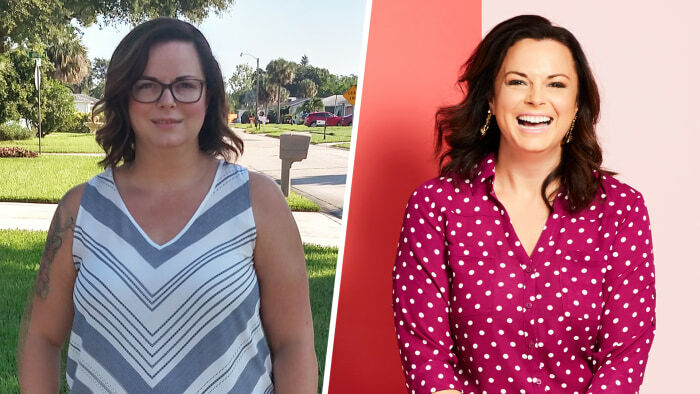 She’d like to lose another five pounds, but plans on sticking with her healthy habits even after reaching her goal weight. While Claycomb drastically changed her eating habits, she also added more activity. Each day, she takes 10,000 steps, up from her previous average of 2,000. Even though the hairstylist from Vero Beach, Florida, has a job where she stands, she wasn’t moving enough. To add more steps, she walks around her salon or during house work, putting away one dish at a time. “I am stronger than I thought I was, mentally and physically,” she said. Brittney Campbell lost 40 pounds in eight months. Brittney Campbell lost 40 pounds thanks to the Live Longer and Stronger Challenge. Brittney Campbell, 32, also gained the weight after normal changes in life. When Campbell, who lives outside Atlanta, applied for the challenge, she weighed 263 pounds at 5 feet 7 inches tall. When she learned she was accepted to the program, she saw it as a sign. Like Claycomb, Campbell incorporated more walking in her day-to-day schedule. Her son, Varion, 8, plays football and baseball and during his practices she walked around the track instead of sitting in the bleachers. Soon, other moms joined and a whole group walked together. This keeps Campbell motivated. 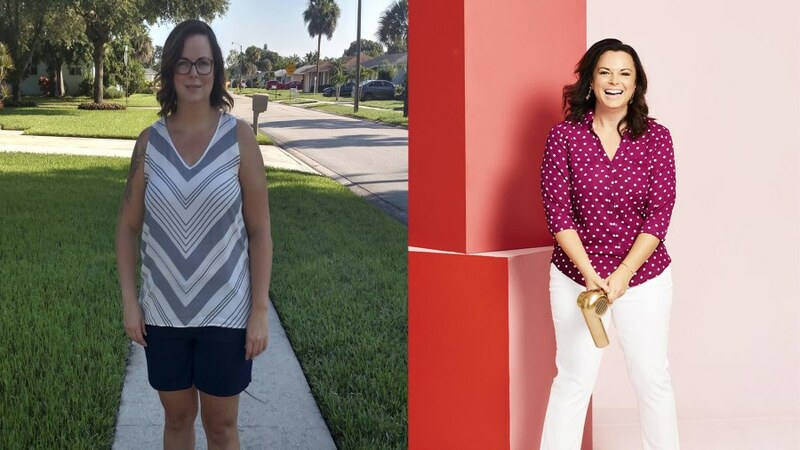 Campbell lost 40 pounds and plans on continuing the eating and exercise habits she developed. She hopes to better tone and define her body, but she’s proud of her progress. In the past, Campbell thought of weight loss as something she needed to do to fit into a mold. This time, she realized she needed to lose weight to improve her quality of life. “Do it for you. Make the choice to be the best you that you can be,” she said. Claycomb plans all her meals for the week so it is easy to eat healthy foods. Campbell plans much of her exercise on weekends because she knows she has extra free time. “Total organization has saved me,” said Claycomb. Claycomb ignored her weight because she thought losing it was impossible. “The longer you wait, the worse it is going to get. Ask for help,” she said. 4. Don’t obsess over the scale. Campbell was losing weight slowly and felt frustrated. She kept weighing herself and watching the numbers plateau. That’s when she decided to take her measurements and realized she was losing inches from her stomach, waist, arms and legs. Claycomb said the support from the program kept her motivated when it felt overwhelming. Campbell relied on her best friend and other moms to keep her on track. “I … found a friend to kind of help me through and keep me accountable,” Campbell said. For more inspiration, check out our My Weight-Loss Journey page. If you’re trying to lose weight, sign up for our Start TODAY newsletter for meal plans and healthy tips.